- Change Color Depth to 1 bit, 4 bits, 8 bits or 24 bits Images. - Save resultant images as JPEG, JPEG 2000 or BMP Images. 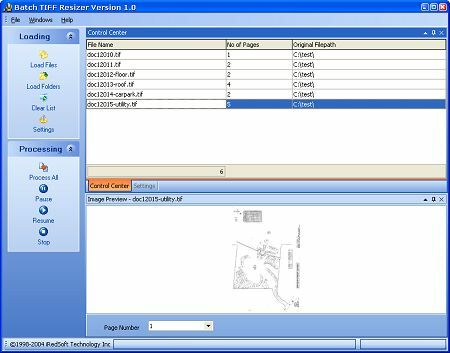 - Support Spiltting of Multipage TIFF images to individual JPEG, JPEG 2000, BMP, TIFF or PDF files. - Combine TIFFs into Multipage TIFFs or Acrobat PDF File. - Spilt Multipage TIFFs into Multiple Single Page TIFF Files. A WinFax fxd fxm fxr fxs to tif tiff converter. Qweas is providing links to Batch TIFF Resizer 2.11 as a courtesy, and makes no representations regarding Batch TIFF Resizer or any other applications or any information related thereto. Any questions, complaints or claims regarding this application Batch TIFF Resizer 2.11 must be directed to the appropriate software vendor. You may click the publisher link of Batch TIFF Resizer on the top of this page to get more details about the vendor.